"Well-proven winners with our guests"
This is a small sample of our preferred vacation accommodations in various locations on Maui's northshore (Paia, Sprecklesville and Haiku) and southshore (Kihei, Wailea and Makena). Contact us for more accommodation options. Comments: Private oceanfront cottage, steps from Baldwin Beach. Comments: Unbeatable value in a location that has beach access for both windsurfers (out the door) and swimmers close by. Also ideal location for surf, SUP, cycling and kitesurf vacationers. Comments: This oceanfront property may just be the closest you can get to your affordable "dream cottage" in Maui. Comments: Private oceanview cottage with panoramic ocean and mountain views and hot tub. 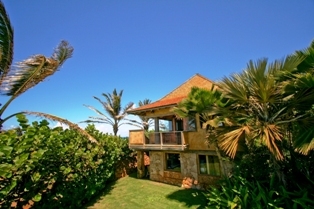 Comments: Oceanfront estate with lap pool and walking distance to Paia town. Comments: This unique Maui Northshore villa offers the feel of a beach house w/o the “beachfront” price, ideally located just 1-minute walk away from Baby Beach. Comments: One of the ultimate family-reunion or large group properties, a true "private retreat" estate with an unparalleled panoramic view of Maui's northshore. Comments: Custom luxury home in the peaceful Haiku countryside. A hidden gem! Comments: Bicoastal views from the Main House and stunning private garden at the Guest Cottage; both with private private hot tubs. Please note that all Northshore properties require a 7 night minimum stay. Price: Contact us for best available price. Comments: The BEST beachfront low-density/low-rise condo choice in the Wailea/Makena area. Comments: This is our #1 property which continues to receive 99% positive feedback from all our guests. Price: $1000/night and up, Contact us for best available price. The newest and most luxurious resort in Wailea with beautiful and spacious interiors. Comments: Beachfront home w/ pool and hot tub. Comments: A unique luxury oceanfront home w/ pool & hot tub. Comments: A rare oceanfront cottage in Wailea. Accommodation prices quoted in this guide are subject to the 14.42% Hawaii State "Hotel and Accommodations" Tax. When you hire Maui Vacation Advisors to find your Maui North Shore vacation rentals, you not only get the value of our experience, but also the knowledge that we have gained from previous guests’ experiences from the South Shore and North Shore rentals in Maui that we have found for them. Our Preferred Property Shortlist is a small sampling of those rental properties that our guests have determined to be the best value. The Baby Beach Bungalow is one of the popular Maui North Shore vacation rentals that offers the best of the Northshore atmosphere. This one bedroom rental is only steps away from the beach. If you are looking for North Shore rentals in Maui that are ideal for a romantic getaway for the two of you or a private cottage where you can enjoy some down time alone, this is a good choice. It has many great features that will make your stay a luxurious one. Hale Mauka Makai is another of the Maui North Shore vacation rentals that is favored by those traveling in larger groups or who want to enjoy the greatest degree of privacy and comfort. This is the most exquisite of the North Shore rentals in Maui. With 3 bedrooms, a large private swimming pool, and beach access, this private estate home is certain to be as much of a joy for you to stay in as it has proven to be to our previous guests. Many of the Maui North Shore vacation rentals on our preferred list are favorites for their ideal settings, as well as for the luxurious accommodations that they include. 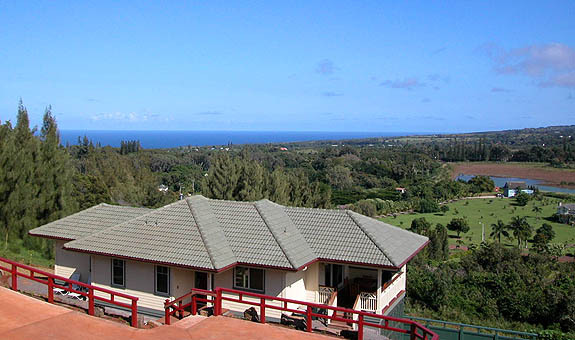 Read the descriptions of each and browse the photos to see which of the North Shore rentals in Maui is right for you. If you can’t decide, contact us and we will take your preferences into consideration in order to find the right one for your needs. Whether you prefer to browse our North Shore rentals in Maui with the tools we offer on this website or you want to rely on our experience to advise you on which of our Maui North Shore vacation rentals will best meet your requirements, we have the resources to get you the perfect match for a vacation that will exceed your expectations.